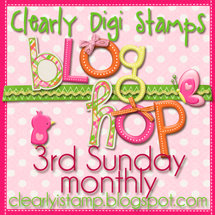 We have a winner to announce from the "Bright Colors of Summer" Blog Hop! Congratulations Trish from Time-to-Share, you were randomly chosen from Deonna's blog, For the Love of Cardmaking as our winner! Please contact me, Cassie (cassandratrask@yahoo.com), to claim your $25 gift card to use toward digital images!